Advisors have started to be concerned about DRAM pricing, calling a more demanding 2019. 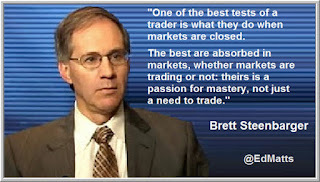 Trading, like any great performance field, is an arena in which our self-development is an essential part of honing our craft. Welcome to TraderFeed, a blog site that now also serves as a repository for nearly 5000 original articles on trading psychology, trader performance, and trading methods. Within the extent of my knowledge, this is the largest single source of trading psychology material in the world. The links on this page will help you navigate the database of posts to find the information most relevant to your development. My coaching work is limited to trading and investment firms, so I cannot provide online advice or services to individual traders. I do, however, welcome questions about the ideas in this blog. You can email me at the address on my bio and contact page. I’m also available via Twitter (@steenbab), where I’ll continue to link new posts and articles. I wish you the best of luck in your development as a trader and in your personal evolution. In the end, those are one and the same: paths to becoming who we already are when we are at our best.